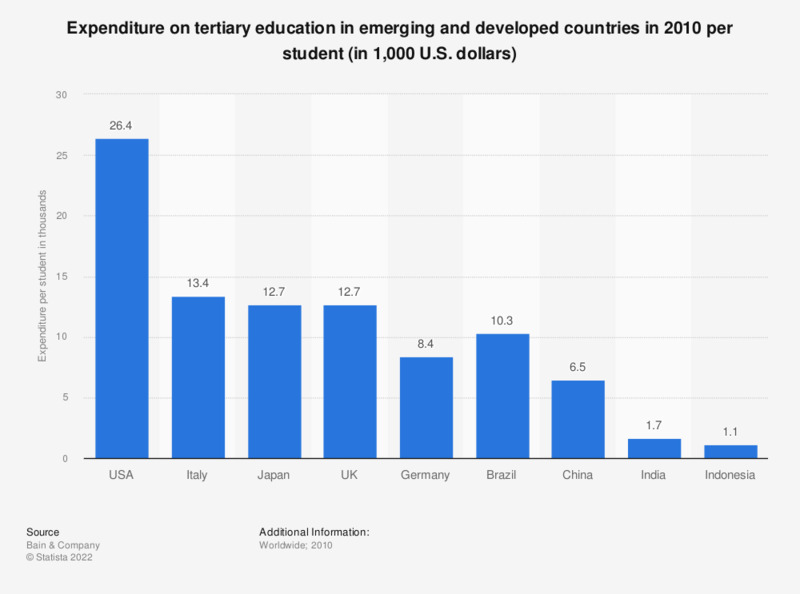 This statistic shows the expenditure of different countries on tertiary education per student in Purchasing Power Parity (PPP) constant 2010 U.S. dollars. In the United States, 26,400 U.S. dollars was spent per tertiary school student in 2010. Data is adjusted for Purchasing Power Parity.